We are a family owned business with a history of sailing in the Greek & Mediterranean waters. We charter and manage our own yachts and offer exceptional service to our guest. In addition to providing private yachting holidays in Greece, we also cater for private and corporate functions. Paralos Yachting, a charter company located in Athens, close to Alimos Marina (Kalamaki).We focus only on sailing boats. We offer spacious and easy to handle yachts as well as high performance boats. Our team comprises highly experienced professionals with many years of sailing experience in Greece. Owner managed and skippered crewed sailing yacht available for tailor made sailing cruises throughout the Aegean Sea. The yacht is based in Kalamaki Marina and can accommodate families, small and large groups and individuals seeking a personalized and unique sailing holiday in Greece. We are a family charter company in Athens, Greece with wholly owned and managed fleet of sailing yachts offering crewed and bareboat charters. Having more than 20 years of experience, we manage to maintain our fleet in very good shape and high standards, ready to serve you and make you enjoy unforgettable sailing holidays at the sunny Greek islands. Just choose the boat of your preference, gather with friends or family, pack your bags and leave the rest to us. Your selection can be a skippered, fully crewed yacht or bareboat depending on your experience and the way your want to spend your sailing holidays! Based in Lavrio, HDM Sailing offers a full range of bareboat and skippered sailing yachts at competitive prices and with personalized service. Our qualified & friendly staff ensure 24/7 support and well maintained yachts. We also operate a sailing school with beginners and advanced courses throughout the season. Epic Yachts &Villas has been established in 2017. Our office is located in Alykes Potamou, Corfu-Greece. We are accredited by the Greek National Tourism Organization (GNTO- License Nr:0829E63000103101) as well as being a member of the Hellenic Yacht Brokers Association (H.Y.B.A) and Hellenic Association of Travel and Tourist Agencies (H.A.T.T.A.). Easy Sailing's core activity is bareboat chartering in Greece. Our main concern is to offer bareboat charters at unbeatable prices without any sacrifice to the quality of the yachts or the service provided. We sell directly to our clients. Since we began operating, our charter experience has provided hundreds of clients around the world with a unique travel experience as well as all possible services that made their holiday a memorable adventure. Let our professionals help you plan your trip with exceptional customer service and a goal of exceeding your expectations. Their local knowledge of the Greek islands, ensures you will always be in the perfect setting, whether it's at the waters edge of the best bars and nightlife, or in serene bays with out another soul in sight. Sit back and plot your course though paradise, with Globus Yachting guiding you to all the places you want to go, you can do as much or as little as you like. An officially licenced company with many years of professional yacht charter experience, the Apollonia Yacht Charter team works closely with you from beginning to end to ensure the most appropriate yacht charter for your needs and budget. We will also assist you with your travel arrangements to/from Athens at the best rates, organize shuttle transfers from/to the airport,hotel and marina and arrange provisioning of your yacht. Aegean Cruises is an officially licensed/government regulated yacht charter & tourism company offering yachting holidays in Greece. We are sailors, yacht owners, charter managers & brokers with over 20 years of experience in the Greek sailing & yacht charter industry. Captain Perikles Mellios, head of AEGEAN Wind, welcomes you aboard our yachts and promises that whichever vessel of our fleet you may choose, whichever destination in the Aegean or Ionian Sea you wish to pursue, you will live a unique experience and your holiday will be a safe and unforgettable one. AEGEAN Wind over the past years provides luxury and private yacht charter at Greek islands and makes sailing in Greece a unique experiences, regardless the type of chartering, bareboat or skippered. The leading provider in yacht chartering in Greece, offers you a choice of 40 exclusively owned yachts, which are all superbly maintained and equipped. Based in Lefkada we offer modern yachting vacations in ancient Greece, charters to lonely islands, yachts for rent and for fun, interesting team building activities, trip for the whole family, skippers, sea adventures, sailing voyage, we will ensure you all that and Beyond. For over 30 years our company has been involved in yacht chartering and sailing in Greece. We offer high quality sailing vacations with bareboats, catamarans and crewed yachts from bases all over Greece. Our offices and main base are located at Alimos marina in Athens and our fleet consists of our own yachts and other carefully selected yachts under management that are fully equipped and maintained to the highest standards of reliability, safety and appearance. The company�s team is a mix of young people with fresh ideas, passion for the sea, eagerness to help you with anything you need and executives having experience and business knowledge. Prior to establishing our very own company, we worked in the yachting industry for many years, negotiating and booking yacht charters for thousands of happy, satisfied, return customers, same as you are becoming as clients of Sail Puppy. We also gained valuable experience in yacht maintenance and yacht crane lifting & hauling, thoroughly enriching our practical knowledge of where to look at for things that could potentially go south on a boat. Our extensive yachting experience includes having acted as client welcome agents for yacht charter companies, conducting detailed check-in yacht handovers and check-out returns, which taught us how a swell service ought to be provided and audited. We are qualified skippers ourselves, having amassed a rich sea experience and extensive client interaction feedback, giving us a unique sailing-holiday perspective from your point of view. We have been sailing since we were kids; we've been in and out of boats and yachts all our lives. We absolutely adore assisting people achieve a magnificent, unforgettable sailing holiday, irrespective of their budget; it's because we understand and solemnly respect how hard they've worked for it. Sail Puppy Ltd benefits from over 15 year' worth of experience in yacht charter. Sailways offers a full range of options for bareboat sailing yacht charters, catamaran charters, as well as, skippered and crewed charters, from most major destinations in Greece. We do not just help you book a yacht. We work hard to provide you with the most exceptional and personalized service that will make your vacation in Greece an unforgettable sailing experience! EasySail is the place where you can find quality catamarans and sailing yachts at reasonable prices for your holidays in Greece. Founded by Mr Omiros Tsenoglou, a sailor with 25 years experience, with the aim of sharing his passion for the sea with everyone wishing to visit the beautiful Greek waters. Founded in 2006 by retired Rear Navy Admiral H.N. Spyros Fakiris, Admiral Yachts offers high quality personalized yacht charters throughtout Greece. Our experienced staff in cooperation with our sister company travel agency, Ask2travel, also offers a full range of travel services and guarantees that your sailing holiday in the Greek Islands is something that goes beyond any standard. Mr. Fakiris's experience at sea ensures that safety, comfort, and hospitality are not just words. We are officialy licensed by the Greek Ministry of Tourism and a member of the Hellenic Yacht Association. Unique and exclusive crewed and bareboat sailing holdays in the Greek Islands. Many years of experience guarantee top quality holidays. 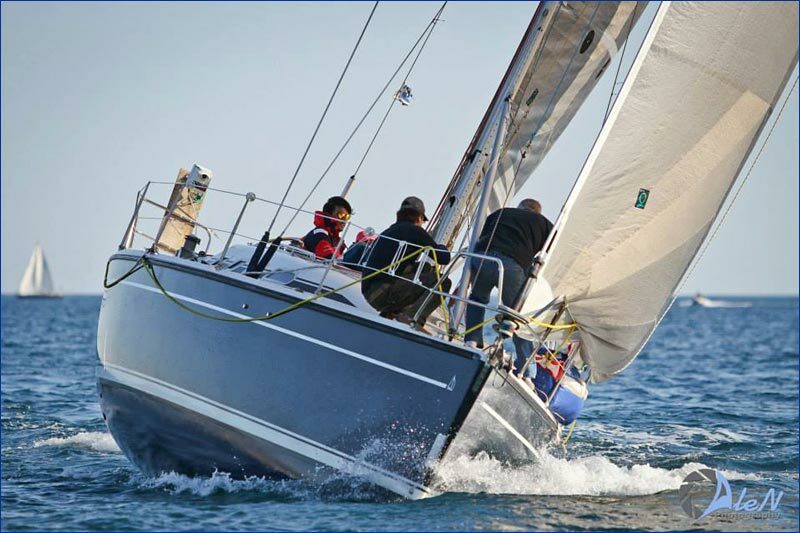 We offer a variety of bareboat sailing yachts at affordable charter prices because we are owners. AIB Sailing owns a private fleet of 6 modern, luxurious and fully equipped yachts. We welcome you on Sailing yacht 'Koulaki', the best equipped and seaworthy Colvic Victor 50 on the sea today. Are you dreaming about sailing and have no licence or enough sailing skills or you just need a guide? Then choosing our skippered sailing yacht gives you the opportunity for a safe and comfortable journey on the crystal clear Aegean Sea waters. There is no better way to uncover the secret beauties of the Aegean archipelago than sailing in the comfort of a skippered sailing boat. 13 years offering top quality sailing YACHTS & CATAMARANS for bareboat and crewed charters in Greece. KOS-ATHENS-LEFKAS. 2 Alkyonis Str. & 27 Poseidonos Ave.
We are Ionian Sea/Island yacht charter specialists and based in Preveza. We offer a wide range of catamarans and monohulls for bareboat or skippered charter holidays. For families, groups and couples seeking a personalized and unique sailing holiday in the Ionian turn to Ionian Breeze. Velvet Yachting is a Greek company founded in 1994. Based in Athens, the company's vision is to create authentic and memorable yachting experiences in connection with the provision of quality services. Our yachts and catamarans are in excellent condition and fully equipped to meet the high standards of operation and safety that ensure a safe and comfortable sailing holiday. Our extensive knowledge of the Greek seas, islands, beaches and best sailing routes. together with our affordable prices make us your prefered choice for your next sailing holiday in Greece. Since 1999 our family owned company has been offering top-quality yachts and excellent service to yacht charterers in Greece. Together with our UK partner company All Seas Sailing ltd., our goal is to provide memorable sailing holidays at reasonable rates.